Museum of Contemporary Art exhibits the unique traditional Thai art and the international academic art. 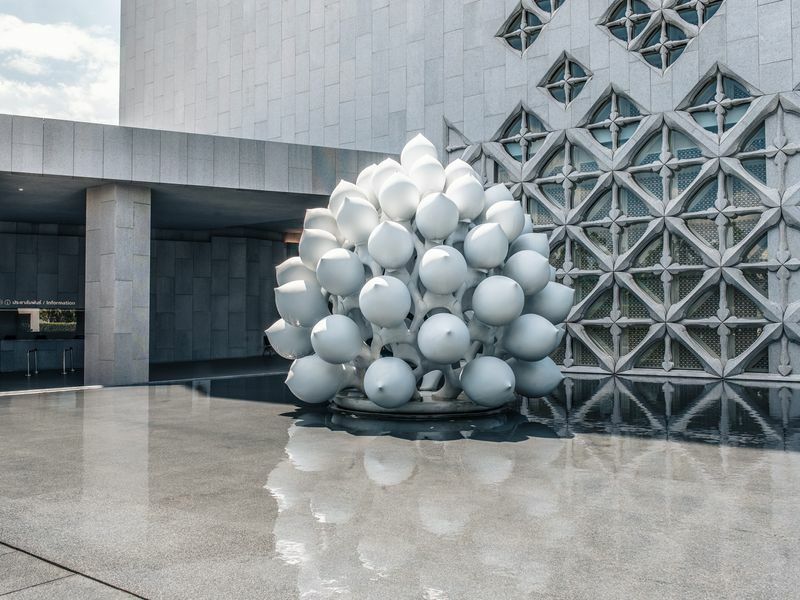 The place also shows an interesting history of Thai art that was created by Thai artists from various generations and introduces Thai art to the world. Nation, religions and the monarch have always influenced Thai people for a long time. Love, faith, and loyalty for these three institutions reflected in many Thai art works. The ultimate beauties of the main institutions that are highly esteemed by all Thai people are illustrated through the original Thai arts. When the new era had started, the works of arts changed to a new style too. Professor Silpa Bhirasri (Corrado Feroci) is an Italian sculptor who played an important role in arts changing and started painting and sculpture courses at Praneet Silpa School. Today, the school has become Silpakorn University. “ARS LONGA VITA BREVIS” is Professor Silpa Bhirasri’s motto which means “art is long, life is short”. He taught his students Academic Art and improved their art skills to be able to catch up with other developed countries. 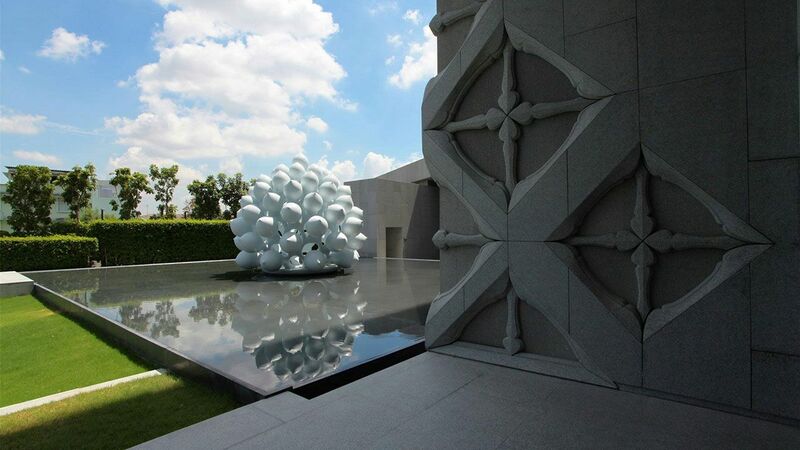 From this, he was admired to be “Father of Thai Contemporary Arts”. Every piece of arts of Professor Silpa’s students has reflected belief, faith and era revolution. They reflected both development of Buddhist culture and the country civilization. 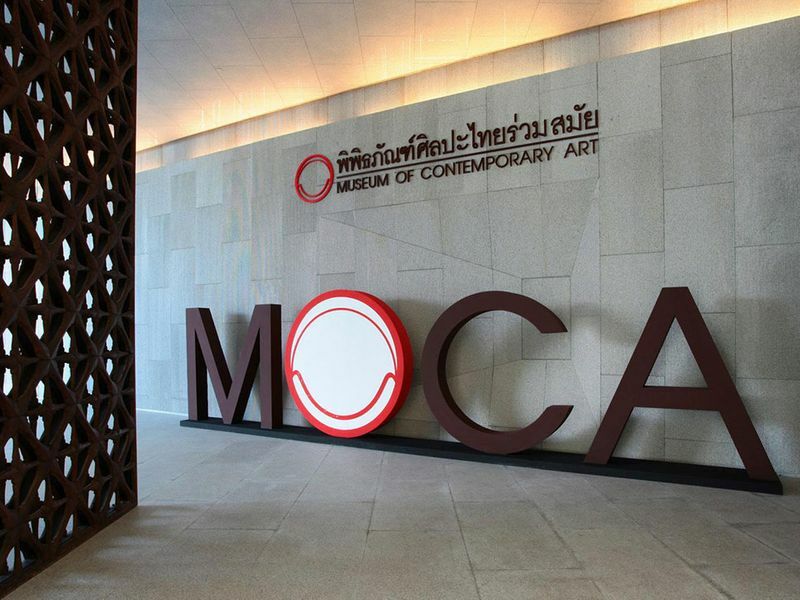 The MOCA Bangkok is examplary for museum and art gallery. Its full dedication to arts makes the MOCA very interesting and worth a long journey to visit. The museum is very neat and well organised. The curation mainly reflects how Thailand stresses the value of the monarchy in which touches upon most parts of people's every day life.